How do employees use the World Clock? If your organization has multiple locations across different time zones, it might be confusing to understand the schedule. Sling has a setting which allows employees to choose whether you view shifts according to your own time zone or according to the location assigned to the shift. 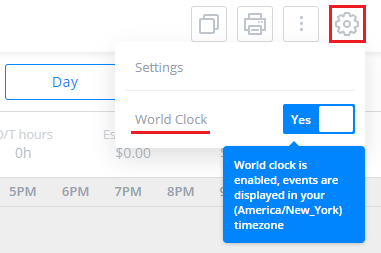 If you enable the World Clock, all shifts will be displayed according to your local time. This will allow you to understand when others are working, compared to your own shifts as well as see who else is working at the same time, no matter where they are in the world. It will also allow you to understand the timing of your shifts if you work remotely and are assigned to a location which has a different time zone than your own. 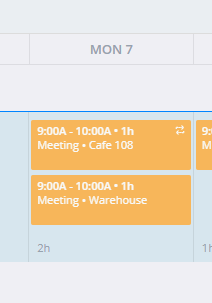 For example, here are two shifts for two different locations as seen with the world clock enabled. The Cafe 108 location is in New York and the Warehouse is in Hong Kong. 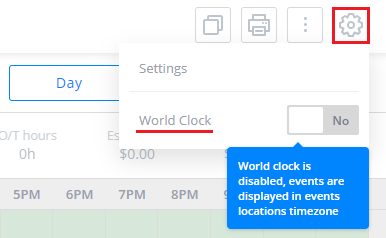 If you disable the World Clock, all shifts will be displayed according to the location of the shift. This means all shifts show the local time at which they occur. 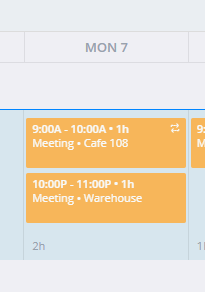 Here are the same shifts from above, shown with the World Clock disabled. The shift in New York is unchanged since it is the user's time zone while the shift in Hong Kong is now displayed according to local Hong Kong time.